According to China Daily, the China Mental Health Association has reported that the number of depression patients in China recently exceeded 26 million, about 60 percent of whom never went to the hospital for treatment. Aren't I glad to see over 15 million people avoid the pitfalls of the well-meaning but pill-pushing hacks of the psychiatric industry? Since the rate of suicide is high in China, and since the article claims that 10 to 15 percent of those depressed patients commit suicide, I would say the answers would be "Yes, this is bad" and "No, I'm not glad." I may not advocate psychotropic medications because of my poor experiences with them, but I don't advocate seeking no help at all. Over 15 million Chinese citizens with depression may avoid the dangers of psychotropic side effects, but then they're avoiding treatment as well, which means that many of them needlessly suffer. 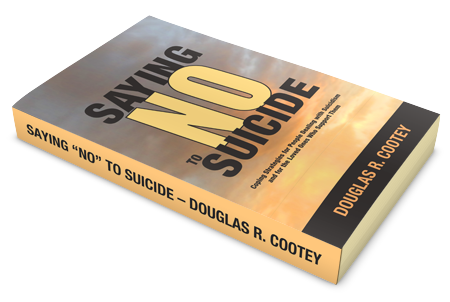 With so many people at risk for suicide certainly some sort of public education needs to take place in China, whether by private or government organizations. There must be something seriously wrong with this world if the rates of depression continue to rise. I can't save the world, but I can help save myself then talk about it here. Maybe I can reach somebody in need. This morning depression gripped me and threatened to rob me of time and productivity. Here's how I shook off the black cloud smothering me.1. 2) I made an outline of what I wanted to accomplish today and broke it down by the hour. 3) I forced myself to get away from my Mac and start working on the outline. 5) After I accomplish a few of my goals I will exercise to burn calories, tone my body to improve my self image, and get some healthy endorphins to boot. 6) Keep working on the list. Don't stop. I am still depressed but it has reduced in strength. I foresee it abating entirely before the morning is over.